Coldplay performed songs from their forthcoming album, “Ghost Stories”, on The Tonight Show starring Jimmy Fallon on Tuesday, and video from the program is available. 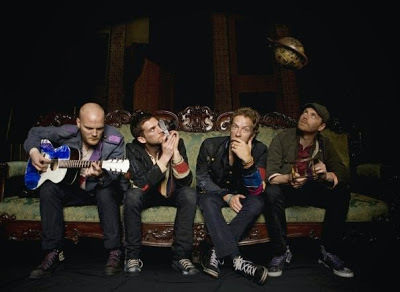 Due May 19 (May 20 in North America) and produced by Jon Hopkins, “Ghost Stories” is the band’s sixth studio album and first since 2011's "Mylo Xyloto." The night before the release, the group returns to NBC for an hour-long special called Coldplay: Ghost Stories, which they describe as "an immersive blend of light and video, dramatic staging and an intimate world-premiere performance." Coldplay will then launch the record with a live concert on the day of release at UCLA’s Royce Hall in Los Angeles.